HACIENDA ALTA - on a ridgeline above the valley reaching to the lake - the upper portion of the former Hacienda La Labor. Minutes away from downtown Chapala to the west and the Chapala Country Club to the east, yet a world away in terms of tranquility and security. Bordered by horse pastures to the north, and agricultural fields all around. Located on a ridgeline above the valley, securing the exquisite views from any blockage while providing steady light breezes which keep the property cool and bug-free. 10 minutes to the Chapala malecon, shops nightlife and restuarants or to the Soriana supermarket, or to Pancho's Deli, and less than 15 minutes to Walmart or SuperLake in San Antonio Tlayacapan. The Chapala Country Club and golf course is a 5 minute drive east of the turnoff for Hacienda Alta, passing by the villages of Santa Cruz and San Nicolás as you drive east along the lakeside highway. 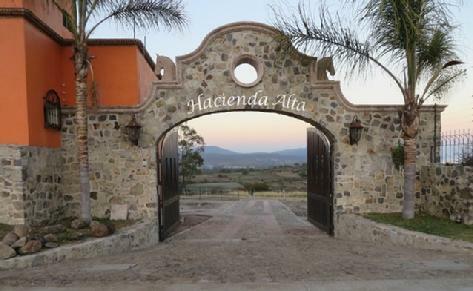 Hacienda Alta has been planned as a haven for those who are tired of the stresses of every day life and want to live close to the action in Chapala and Ajijic, but above it all. 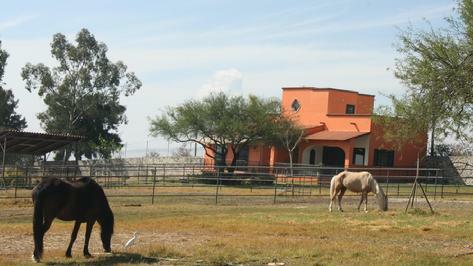 The developers of Hacienda Alta live next door, with their stables, pastures and horses. One of the owners is an MCRP (Masters in City and Regional Planning) and has given detailed attention to planning the layout and development of Hacienda Alta. A great deal of money has been spent to transfer the land title from the campesino-based ejido land, to properly titled rural land, and then to six approved building lots. The lots are situated so that each resident can build their own home and gardens without blocking the views for other residents. And oh those views! And the quiet! And the perennial soft breezes! After much thought, and after seeing what other developments have experienced, the developers decided not to have a condominum agreement, neighborhood association or fraccionamento for Hacienda Alta. Each lot/house will be privately owned. Every lot sold in the Hacienda Alta Subdivision will include specific easements in the deed to cover access to the Lots in the subdivision via the interior private road (privada), to protect the views to the Lake for all lots, to insure that all utility services are installed underground, and to restrict the keeping of livestock on the lots. These easements are shown in detail in the pdf file attached below. The goal is to create an upscale, quality subdivision where all lot owners are confident that they are protected from the issues and problems that have affected other subdivisions lakeside, and that the aesthetics of the subdivision are held to a high standard. Hacienda Alta House #1 under contract for closing this year.